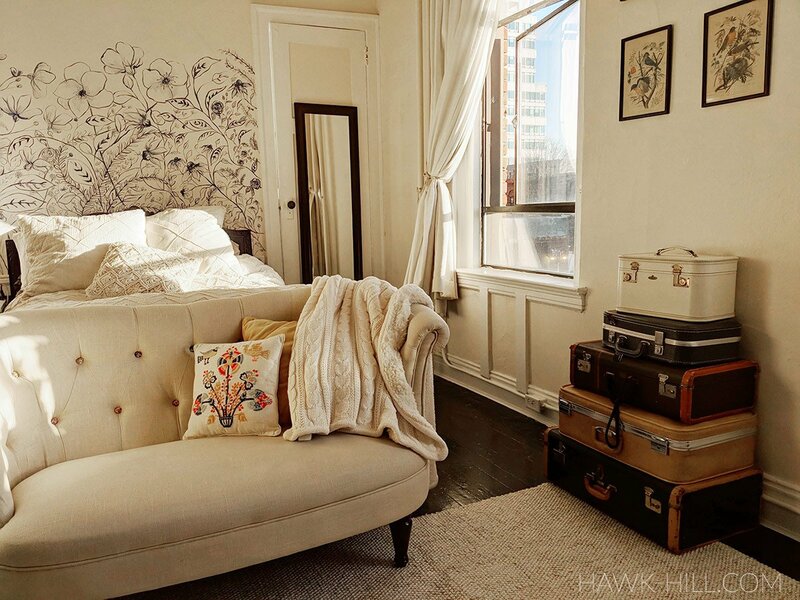 Last winter in Seattle was colder and wetter than most, and with my social media feeds filling with the comfort-loving aesthetic of Hygge, I decided I needed more cozy throws in my life. Unsatisfied with cheap throws and fleece blankets, I wanted a very substantial blankie- and I found it in an unlikely place. Bainbridge Island is an island located 30 minutes by ferry from downtown Seattle. 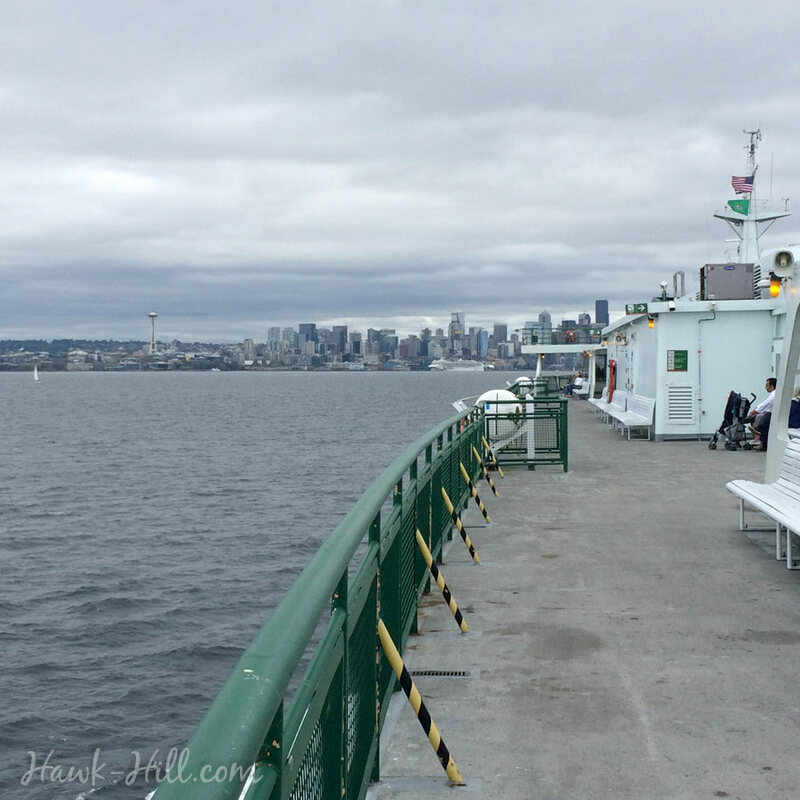 It’s the home of many of Seattle’s elite- and a popular day-trip from Seattle for folks who like to recreationally ride the Washington Ferry System (like yours truly). When I cruise over to Bainbridge Island, I always poke my head in the thrift stores. It turns out, what the folks on Bainbridge Island want to toss out are often things I really want! 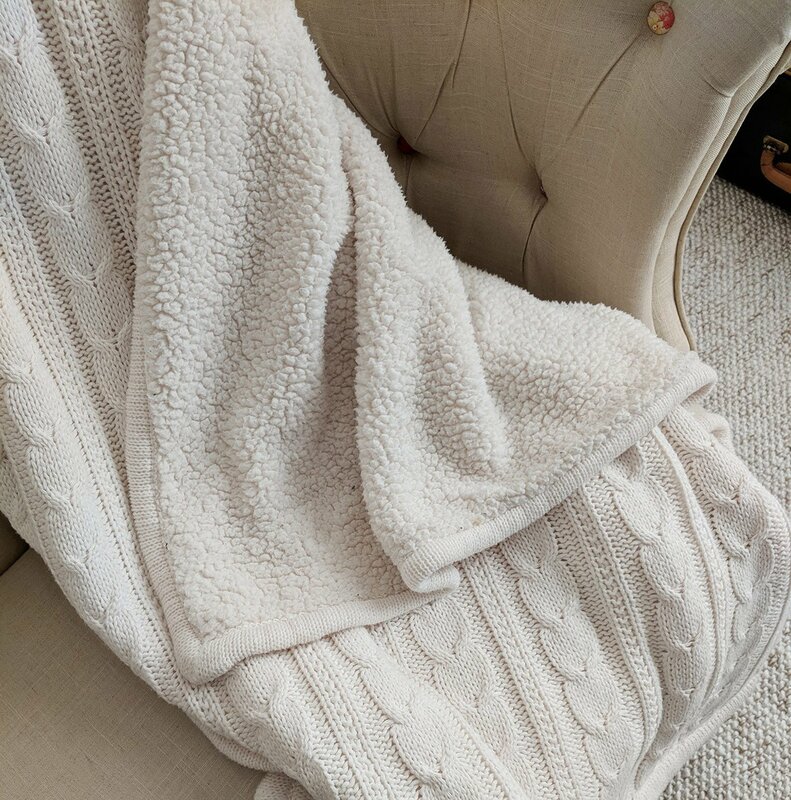 Unironically, even the thrift store prices on Bainbridge are usually out of my budget, but last year when I went I found this Pottery Barn fleece and cableknit throw that was perfect for my apartment and just within my budget. 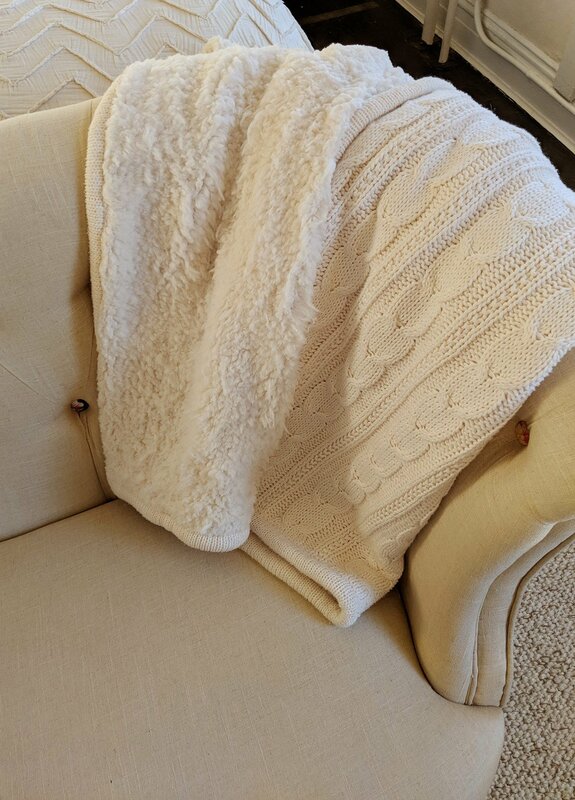 I found Pottery Barn’s $130 “Cozy Cableknit Throw” in Ivory at that island thift store (but Amazon has a version of this blanket with 120 5-star reviews for $25, if you’re crushing on mine). Featuring a chunky knit pattern on one side and ultra-soft plush fleece on the opposite site, this quickly became my favorite blanket to curl up under for winter-term grad school reading. To my disappointment, after just one season my beloved fur blanket began to clump up like old grimy fleece. I was disappointed and began using my blanket less and less. 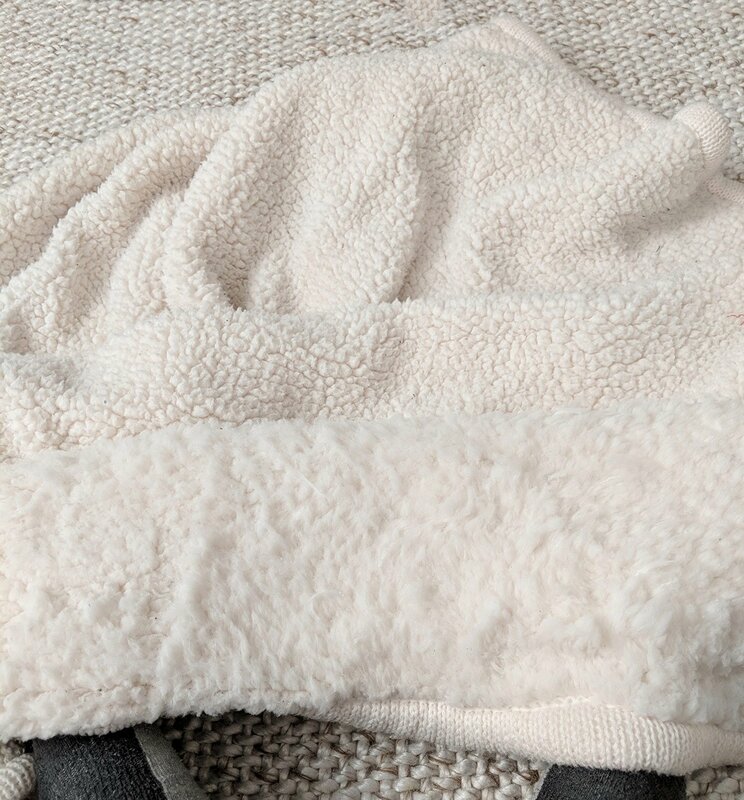 I was still in love with it but worried that if I kept using it regularly, the fleece would deteriorate into a tired cheap-looking blanket instead of the luxurious blanket I loved. While stored for the summer season, I had a conversation with an older woman on how to care for sheepskin rugs. 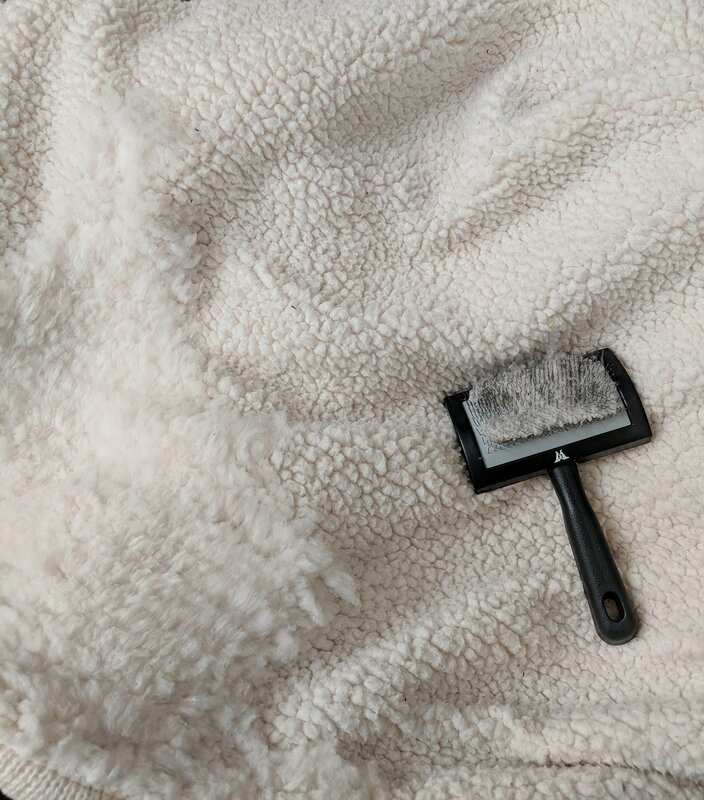 She told me that regular brushing with a carding brush would break up clumps and keep sheepskin fleece rugs looking new, so I decided to apply this same cleaning method to my fleece blanket, in hopes I could return the clumping synthetic fleece to soft fleece pile again. First, I needed to locate a carding brush. With a little research, I learned that carding brushes and slicker style dog brushes are very similar. If you can’t justify carding brushes in your cleaning budget, this $6 wire brush, pictured in this tutorial, worked great for me. This $6 version of a fiber carding brush gets the job done nicely. Cleaning your faux sheepskin fleece and returning clumped fleece to fluffy pile isn’t hard! It does take a bit of technique, though. To begin, place the blanket or fleece garment over your lap, smoothed with no wrinkles, and the tool in your dominant hand. Grasp the edge of the blanket, brace the fabric against your knee, and with quick sharp strokes, begin scraping the carding brush over the fibers. The clumped fibers will tug and try to trap your brush, so the trick is to brush briskly, firmly, and not too deep at first. It’s easy to get the wire brush tangled, so you’ll need to experiment with the right amount of pressure to get the wire tines just far enough into the fleece to comb without catching. As the fleece clumps break up you can press the brush a little deeper into your fleece. You’ll need to repeat the action 6-8 times on one area, especially if your blanket has been allowed to clump significantly, as mine had. Pick a good Netflix, fix a hot drink, and settle in for the process of combing the full blanket. I didn’t expect to also clean my blanket in this process, but was pleased to find that the brushing process picked up all the lint, thread, and fibers that the fleece had consumed into its tangles. Loose fibers and – perhaps most satisfyingly – the debris caught in the clumps- will be trapped in your brush. Peel the loose fibers off your brush once in awhile and keep combing until your blanket looks refreshed and clean. 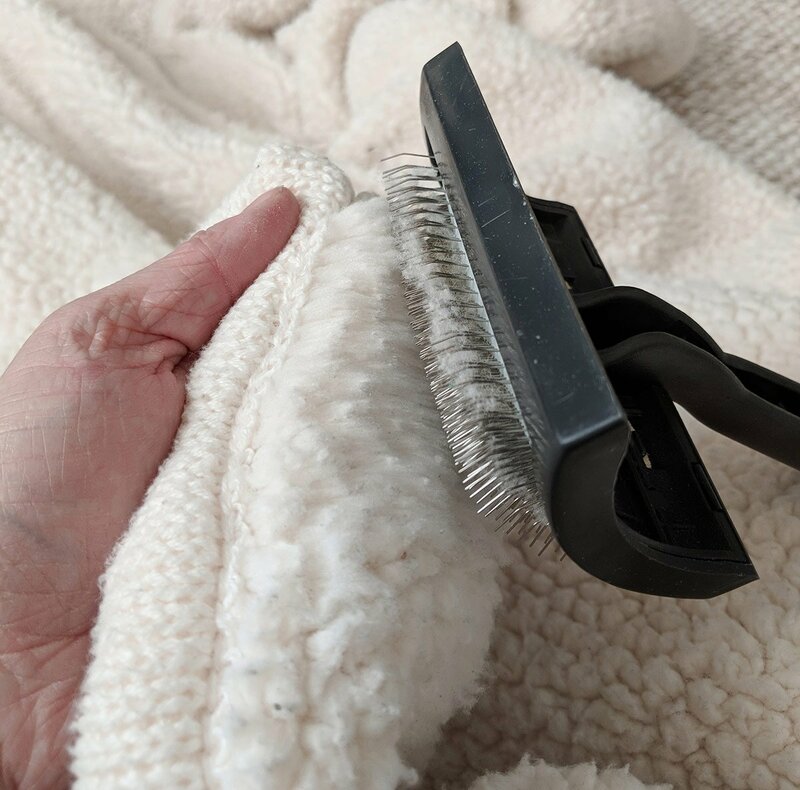 If your fleece is very tangled or not tightly set in the base fabric you may find that you have many pulled fibers after “grooming” your faux fur. 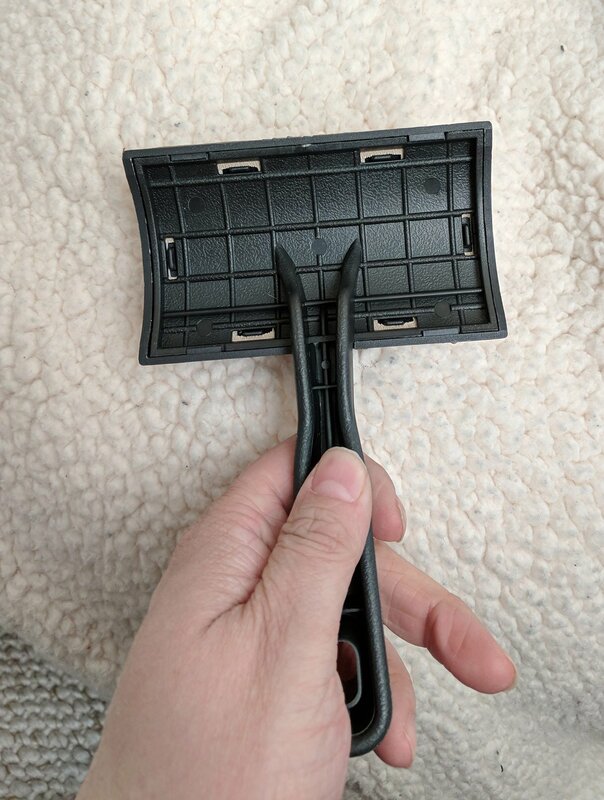 This is expected and won’t harm your blanket, but if you want to neaten the fleece when you are done you can groom the surface of the fleece with scissors. 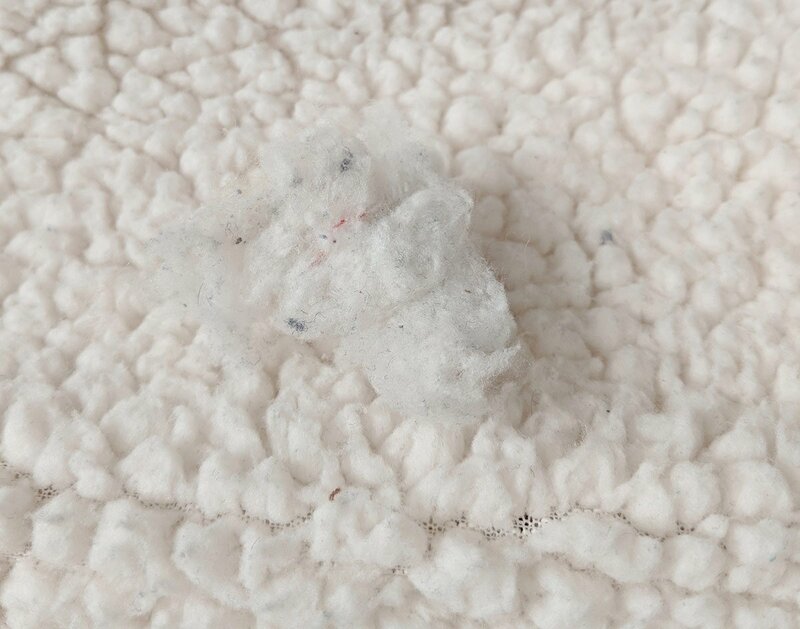 Trim any fibers sticking up past the depth of the pile until your blanket is tidy, furry, and uniform once again.